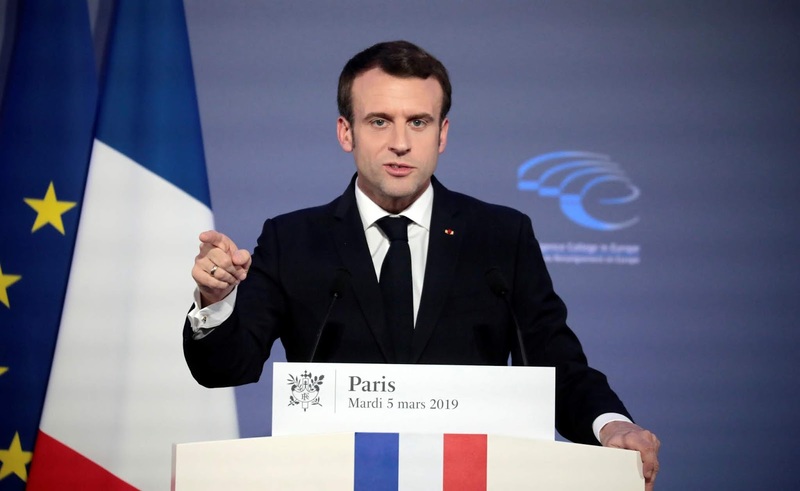 When French president Emmanuel Macron sent an open letter to the people of Europe, he said their first freedom is democratic – “the freedom to choose our leaders as foreign powers seek to influence our vote at each election”. He went on to propose establishing a European agency to protect this right. The idea would be to provide European states with experts to help them fend off cyberattacks and other kinds of threats to their elections. It’s clear that Europe does indeed need an agency of this kind. There is significant evidence that the cyber-attacks and misinformation campaigns that targeted the 2016 US presidential election were not an isolated incident. Nor is the phenomenon geographically limited to the US. There have been allegations of Russian meddling in the UK’s Brexit referendum and of fake news being spread in the run up to the unofficial referendum on Catalonia’s independence from Spain in 2017. In Germany, state agencies have accused Russia of hacking into state computer systems in the run up to parliamentary elections. Concerns have been raised about misinformation being spread on social media in Estonia, Lithuania and Taiwan. And of course, the topic is important to Macron, who saw his emails hacked and leaked online just hours before his second round presidential election run off against far-right candidate Marine Le Pen. The modus operandi of most of these incidents has been almost identical – although the actors behind the operations are becoming more diverse. Russia was the earliest adopter but Taiwanese officials claim that China has begun to employ similar means towards their citizens. And as Saudi Arabia, Iran and other Middle Eastern countries develop cyber-capabilities, they are almost certain to soon follow suit. It’s clear that all European member states, regardless of their size, are potential targets. The same strategy – steal political intelligence through cyber-attacks, leak it online to sew discord and doubt during the run up to key democratic events – is just as viable a tool of power politics in Montenegro as it is in Germany. This adds weight to Macron’s argument that the response to this problem must come from the European level. Equally, applying a technical, legislative solution in one EU nation won’t be enough to negate the risk. Twitter and Facebook operate across borders so the response can only be effective if it does too. The global nature of companies like Facebook and Twitter, whose platforms are the delivery systems of these attacks on democratic processes, poses another problem which is better suited to an EU-driven response. 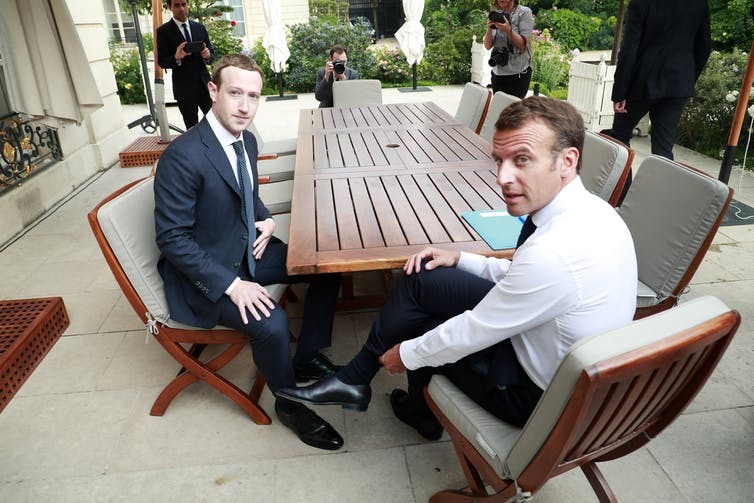 In much the same way that trade deals negotiated on behalf of multinational blocs can often lead to better terms than those sought by individual nations alone, it’s easier for an international institution to force transnational businesses like Facebook to change their ways or accept responsibility for a problem than it would be for an individual country working alone. The difficulties faced by British parliamentary committees when trying to force Facebook CEO Mark Zuckerberg to attend evidence hearings is a striking example of this. Zuckerberg repeatedly evaded them. Even when the UK worked in partnership with Canada, he resisted. An agency representing the economic and global power of the whole EU might have better luck. Working together also provides European nations with the opportunity learn from each other. Lithuania, for example, has taken an interesting approach by combining military and civilian infrastructures in its counter strategy. Military personnel work alongside journalists and political commentators to directly engage with fake news. They act as fact checkers and censors, removing potentially destabilising stories. It’s early days for this approach but it does appear to be effective, at least within the Lithuanian or Baltic context. Adapting it to the European level will inevitably raise questions about censorship but there are nevertheless lessons to be learnt even if the technique is not adopted wholesale. Due to their geographical location and the politics of their region, states like Lithuania and Estonia have been exposed to disinformation of this kind for longer, which has arguably given them a head start on thinking about a solution. This makes them ideally placed to provide the context that is still lacking in the European political debate. While everyone else is just waking up to the concept of the role and threat posed by information operations of this type, these countries are not only aware but have already been educating their citizens about this threat for years. Individual countries have been developing their own approaches to the kinds of problems Macron is talking about. But bringing these efforts together under a single, central body capable of pooling wisdom and expert led resources would be a significant step. Whether Macron can make it work, though, is a different matter. The French president’s vision will require a significant pooling of political will against a poorly defined threat. Europe is seeking to deal with a number of crisis, small and large, some of which have been amplified or brought on by the very risks that this agency would seek to mitigate. Russian troll accounts have fanned the fires of the Gilet Jaunes riots in France, for example. Amid disagreement over so many other issues in Europe, forming an agency with a clear, shared role may prove an uphill struggle.